I am just so amazed that so many of my friends and ladies who come to my classes do have issues in the under-carriage department. Why are we putting up with it? Why should we put up with it? Lets start with some myth busting. What are the first signs of having a Pelvic Floor problem? Now I am bang smack into my menopausal years, the words ‘Pelvic Floor’ have been reintroduced to my vocabulary. Over 20 years ago I gave birth to two lovely human beings, and at the post natal check ups, the GP mumbled something about Pelvic Floor exercises and was I doing them. I said yes, but really I didn’t know if I was or not? Nobody had shown me, nobody had explained how. I was busy with my little ones, I vaguely remember someone mentioning a lift or something! https://alivepilates.co.uk/wp-content/uploads/2014/12/ALIVE-Fitness-Logo-300x167.jpg 0 0 Susan Booth https://alivepilates.co.uk/wp-content/uploads/2014/12/ALIVE-Fitness-Logo-300x167.jpg Susan Booth2019-03-25 16:01:132019-04-09 14:45:45What are the first signs of having a Pelvic Floor problem? What is Pilates? Is it like Yoga? If I had a pound every time someone asked me that very question……. 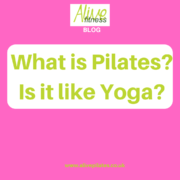 https://alivepilates.co.uk/wp-content/uploads/2019/03/What-is-Pilates_-Is-it-like-Yoga_.png 1080 1080 Susan Booth https://alivepilates.co.uk/wp-content/uploads/2014/12/ALIVE-Fitness-Logo-300x167.jpg Susan Booth2019-03-25 13:41:502019-03-25 16:02:10What is Pilates? Is it like Yoga? New year always throws up so many overwhelming messages. Time to change, what are your resolutions? Have you set any goals… They can sometimes leave us feeling inadequate and useless. Then there is the endless TV programs on how to lose weight, quickest, cheapest, the best blah, blah blah. On the16th January it will be my 23 year anniversary of working in the fitness, health and wellbeing industry. Hard to believe I have been helping ladies (of a certain age!) to feel better about themselves, enjoy a strong fit body and to have fun whilst doing it for a whole 23 years! There is one thing for sure, every January I have heard the same messages, the same promises from diets and gyms, the internet etc. In my experience the ladies who DO challenge themselves and DO set goals and DO change are the ones who have the right mindset from the outset. What makes them different? Everyday I will post into a private facebook group, what to eat and a video of the exercise you should do and a motivational video. You can view and look at all of this stuff as and when you like. People will post photos of what they are eating, chat and discuss motivational tactics etc. It works really well, it’s like a virtual class with people from all over the world doing the same diet and exercise over a period of 7 days. At the end of the 7 days, I will give guidelines on how to continue to maintain your weight loss. Here at Alive Pilates, we run a full class program using small hand weights, small balls and resistance bands (Small Pilates Props) to further enhance and develop your core whilst performing the classic pilates moves. I am excited to announce that as from January 2019 I will be adding another fabulous small prop to our family. Alive Pilates – Bringing YOU back to YOU. There is so much more to this session than the actual pilates exercises. 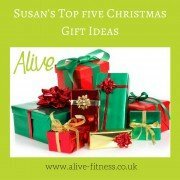 https://alivepilates.co.uk/wp-content/uploads/2014/12/ALIVE-Fitness-Logo-300x167.jpg 0 0 Susan Booth https://alivepilates.co.uk/wp-content/uploads/2014/12/ALIVE-Fitness-Logo-300x167.jpg Susan Booth2018-11-14 20:54:392019-03-25 16:05:34Alive Pilates - Bringing YOU back to YOU. Wow, it’s mid Summer here and the weather is adding to my already sweaty body from my hot flushes. Alzheimer’s disease, many womens’ greatest fear. Alzheimer’s disease (AD) is the most common cause of dementia, accounting for half of the cases. AD is a progressive brain/body disorder characterised by gradual memory loss, nerve cell loss, dysfunction of connections between nerve cells (synapses), and subsequent impairment in cognitive and behavioural functions. 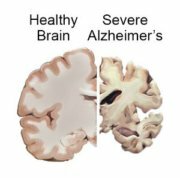 Women with APOE4 have a threefold greater risk of developing Alzheimer’s disease. About 20 to 25 percent of the population has one or two copies of the APOE4 gene. However, only about 20 percent of patients with Alzheimer’s disease carry the gene. https://alivepilates.co.uk/wp-content/uploads/2018/07/brain_slices_alzheimers_0-300x296.jpg 296 300 Susan Booth https://alivepilates.co.uk/wp-content/uploads/2014/12/ALIVE-Fitness-Logo-300x167.jpg Susan Booth2018-07-17 08:17:572019-03-25 16:07:10Alzheimer’s disease, many womens' greatest fear. 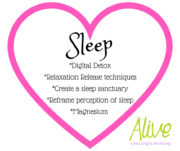 Sleep is one of our Longevity hearts on our Longevity tree, but why is it so important?